BookMyCar.gr is a property of Travel Experience. 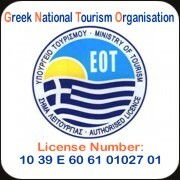 We, in Travel Experience, are always looking to bridging the gap in the tourist products offered in Greece. We acknowledge the trend of price comparison websites as well as Broker websites that have taken the vast amount of reservations through internet. Their reservations end up in the so called BIG Global companies. We think that it’s time for this to change. We also acknowledge that real local companies can offer not only similar but BETTER service. Their disadvantage against the global companies is that they cannot spend the advertising budgets that they can spend. Also, they cannot offer their services through broker sites like car trawler because these website accept only big players. So.. Here is the BookMyCar.gr. BookMyCar.gr is the brand new innovation of car rentals in Greece. Our Aim is to be the intermediate between You, our valued customer, and the really BEST local Car rental companies. We can guarantee that first of all you'll get the best deal and that you are going to be a very satisfied customer. BookMyCar.gr has contracts with local companies for car rentals and we have a universal price through Greece. We have a series of strict criteria for the companies that we cooperate and Travel Experience is acting as a Guarantee for You! Through our online booking engine you make a reservation. The reservation is instantly confirmed by our booking engine and you receive an email with your confirmation. Depending of the payment method that you choose you pay either a deposit online or the rest upon collecting the car or pay the whole sum online, or even pay locally the whole amount. It is very simple. By choosing BookMyCar.gr for your car rental in Greece you guarantee that you are going to pay the lowest amount and that you are going to have the best service available. How we can offer that? Simply by combining costs we have managed to given a huge cut to all of our running costs and the beneficiary is YOU! We are launching a series of websites with the same philosophy. We are already running BookMyHotel.gr which was the first of the series and we are soon going to launch BookMyFlight.gr BookMytour.gr and BookMyHolidays.gr Which will complete the BookMy series of website that offer local services globally.